Start a new Buick question. 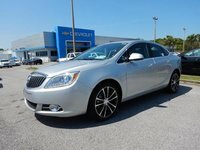 Is A Used 2006 Buick Lucerne CXL Worth It? Though David Buick gave his name to the company he founded in 1903, his unsuccessful management skills were replaced by the powerhouse that was Will Durant, who turned Buick into one of the top-selling cars in the early 1900s. Durant later founded GM, which brought Buick and other carmakers into its fold. The Buick nameplate was originally known for its powerful engine, technology innovations, and speed. It displayed its durability and reliability in long-distance competitions and tug-of-war matches with elephants. Over the years, it also became associated with upscale luxury and hot-rod performance and looks. Innovations included the first V6 engine in production vehicles, the first four-wheel brakes, and the unique pillarless hardtop, that drew on the popularity of its convertible lines. By 1940, it had the reputation for having the fastest cars on the market, and in the 1950s it introduced its first V8. 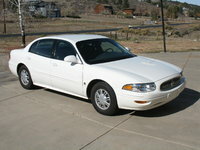 But the V6 was the engine of choice in Buicks, and almost all their cars housed one. Many of the cars from these decades are considered classic and are very popular with the mopar crowd. 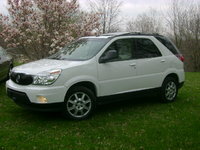 The name Buick immediately conjures up conservative sedans. After the gas crisis and downsizing of the 1970s, the 1980s proved to be a big success for Buick. Luxury sedans such as the LeSabre and Regal were popular for their comfort and their engine power, and often topped surveys and consumer ratings for quality. In terms of speed, Buick engines powered one-third of the Indy 500 cars in 1990. Despite these feats, Buick reliability and conservatively posh looks made the cars attractive to the older crowd, and Buick soon became thought of as an old person's car. In the 1990s, the high-end Park Avenue furthered that image, while the more economy-focused, but bland Century tried to lure first-time buyers into the Buick fold. Today, Buick is looking to reestablish itself as a performance car, aimed at a more youthful market. Gone is the traditional Buick oval grille (though the Tri-Shield remains) along with the classic sedan names, which have been rebranded as Lucerne and LaCrosse. 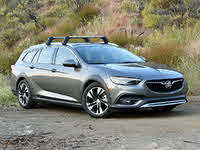 To show it's kept up with the changing needs, Buick has also introduced the Terazza minivan and two SUVs, the mid-size Rainier and crossover Rendezvous. Neither of these have found their niche, and will be replaced by the Enclave in 2008.